Sadly Emmet passed away suddenly from an aneurism, his love of life will always be a shinging star for us. Fondest memories of him swimming and retrieving balls from the Bow River. Emmett picked up his first major at just twleve months at the Gig Harbour Shows Washington. 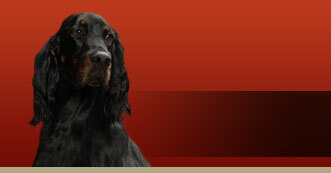 Westwinds Sporting Dog Specialty so Emmet go WD and at the Canadian Gordon Setter National RWD. Emmett lives with Jennifer Evans and Caylin (Ch Sassenach Garnet Star CDX RAE) and is co-owned with Bobbie and myself. At just four months of age Emmett is already showing lots of self confidence and independence that his Uncle Edward has. 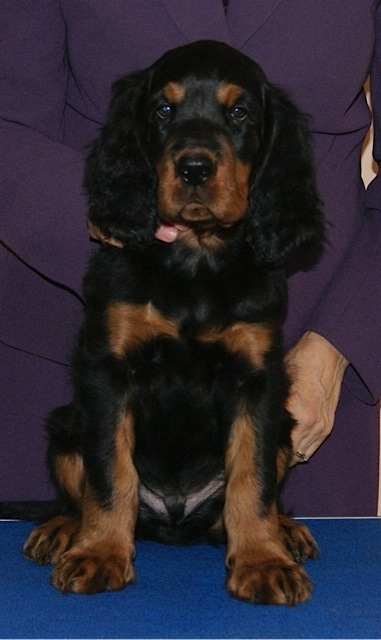 (Am GCh Can GCh Sassenach King of the Castle RN CGN TDI RNCL). Emmett will be entering the obedience ring under the guidance of Jennifer, while I get to play in the conformation rings with him. Like all Sassenach/Oakisle puppies he will easily adapt from one to the other.